A-Frame style home designs, popularized from 1957 to the present, have a triangular shape with many large windows on the front and rear facades. Typically these homes have an open floor plan with few vertical wall surfaces making them easy to maintain and a popular style for a vacation cottage or weekend getaway home. Their steep roof pitch makes A-Frame homes perfect for areas with heavy snow falls since they are designed to help heavy snow slide to the ground instead of remaining on top of the roof of the house. Their second floor layout is generally a loft space and allows for additional storage or an open living area overlooking to the first floor below. The Barthel Country Cabin Home has 4 bedrooms, 2 full baths and 2 half baths. 1811 Sq. Ft., Width 35'-0", Depth 35'-8"
The Ingleside Prairie Style Home has 2 bedrooms, 1 full bath and 1 half bath. 1050 Sq. Ft., Width 24'-0", Depth 24'-0"
The Indian Pointe Waterfront Home has 4 bedrooms and 4 full baths. 2354 Sq. Ft., Width 40'-0", Depth 50'-0"
The Geiser Rustic Vacation Home has 2 bedrooms and 1 full bath. 766 Sq. Ft., Width 24'-0", Depth 24'-0"
The Sinclair Shores Vacation Cottage has 2 bedrooms and 1 full bath. 888 Sq. Ft., Width 24'-0", Depth 37'-0"
The Winter Hollow Mountain Cabin has 2 bedrooms and 1 full bath. 600 Sq. Ft., Width 30'-0", Depth 20'-0"
The Castaway Cove Lake Cabin has 2 bedrooms and 1 full bath. 1021 Sq. Ft., Width 30'-0", Depth 36'-0"
The Tree Top Rustic Modern Cabin has 1 bedroom and 1 full bath. 624 Sq. Ft., Width 24'-0", Depth 26'-0"
The Port Delta Vacation Home has 2 bedrooms and 1 full bath. 924 Sq. Ft., Width 24'-0", Depth 40'-0"
The Pioneer Ridge Log Cabin has 2 bedrooms and 1 full bath. 743 Sq. Ft., Width 24'-0", Depth 24'-0"
A-Frame home designs encompass the rustic, alpine feel associated with these timeless vacation style dwellings. Our collection of A-Frame designs offer detailed floor plans that allow those seeking a home to easily envision the end result. With a huge selection, we are sure that you will find the plan to fit your needs and personal style. 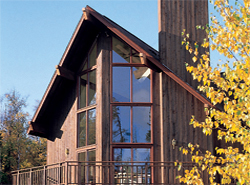 Browse through our A-Frame plans here at House Plans and More and find a plan perfect for you.